An 85-year-old man and his wife have been praised for their “remarkable bravery” after sitting on a knife wielding burglar who had broken into their home just outside Spalding with a brick. Former railway worker John Headington and his wife Susan, 57, managed to sit on intruder Robert Barnes, 28, for several minutes until police arrived at their home in a village just outside the town. “Barnes barged past Mr Headington who fell backwards against the landing wall, Mr Scott told the court. “As Barnes continued down the stairs he ripped the phone from Mrs Headington but then fell down and rolled on to the floor near some cupboards. 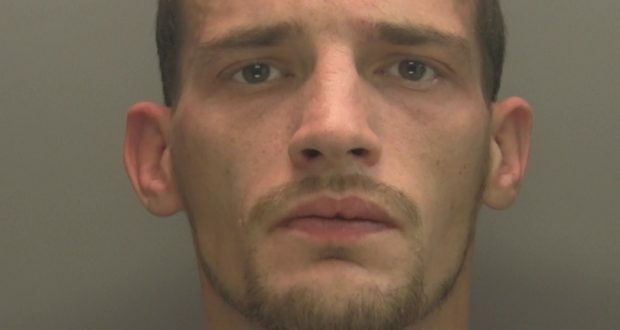 Barnes, of no fixed address, admitted carrying out the burglary on 20 November and a second charge of possessing a bladed article.